Starting and growing a business can be overwhelming. We are here to help. Training DVD’s are available for nearly every product, and we are here to answer unlimited customer service questions. We will do everything we can to get you on your feet and help you along the way. Written instructions are provided with every machine and on-site training is available. The AV-40 System is Thorvie’s top selling line. 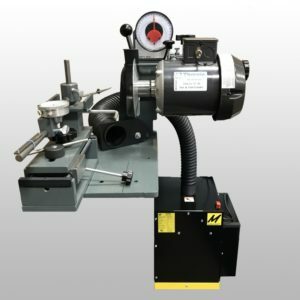 It is a fully functional saw blade sharpening machine system. 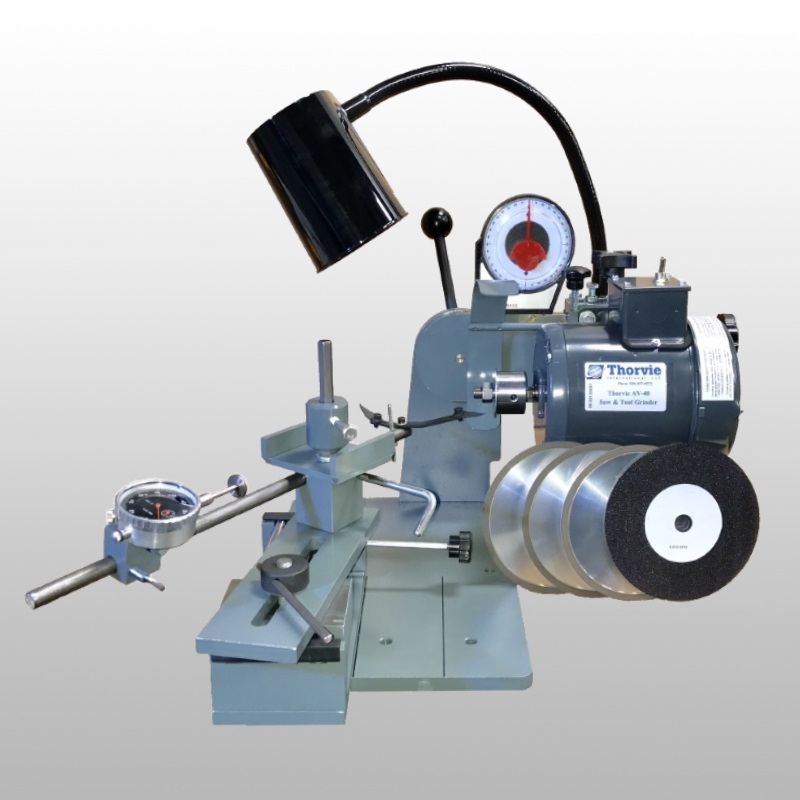 In addition to the base machine, the line contains twenty optional tool fixtures. This line offers your business the flexibility to serve a variety of markets in your area. 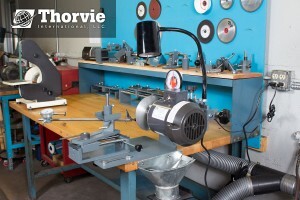 Many home-based business owners fail to utilize Google to advance their saw blade sharpening service. In the United States alone there are roughly 57,600 Google searches each month for “saw sharpening” and “saw blade sharpening”. This statistic speaks volumes to the amount of potential customers who are in need of local sharpening services. If you looking to start a sharpening business or currently have a business, Google My Business can help. The best part? You can register your business for free. There are plenty of features that allow customers to find out who you are, where you are and what you do. If you have a website, there is also a section for “Insights” which allows you to discover how customers found you and what they viewed while looking at your website. The season for ice auger sharpening is in full force. Some customers have asked why they are not getting a smooth grind with their standard ice auger fixture. I often times find that they are sharpening Mora and Eskimo blades in the wrong direction. The problem is that they start their grind at the top of the blade and rotate down to the bottom. By doing this, the grinding wheel is rotating downward and you are rotating the blade against the direction the wheel is spinning. Start with the ice auger blade against the upper blade stop and grind on the bottom section of the blade. Then rotate the blade clockwise until the ice auger blade hits against the lower blade stop. By sharpening them this way, the grinding wheel helps rotate the blade all the way through the grinding surface for a smooth grind. 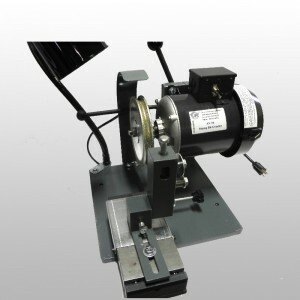 For set up photos and more details, here’s a link to the updated ice auger sharpening instructions. If you have additional questions please contact me at (866) 497-0572.